Captain John Smith Statue. 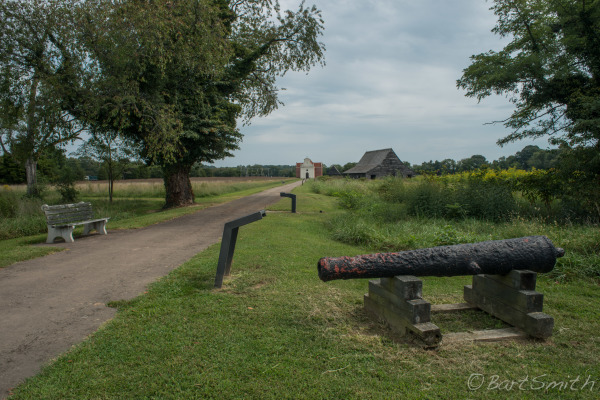 Colonial National Historical Park, Jamestown, Virginia. 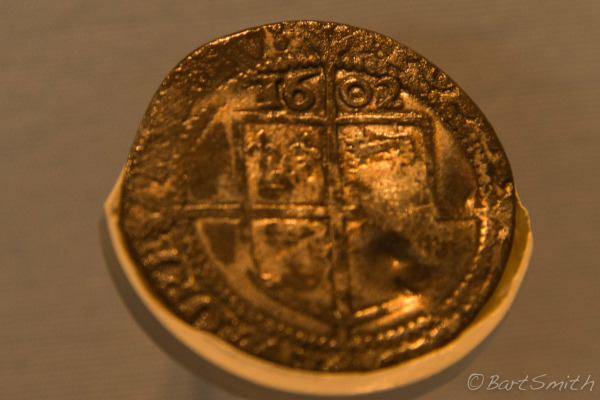 Coin found at archeological dig at Jamestown. It is on display at the Archaearium Museum at Historic Jamestown. Colonial National Historical Park, Jamestown, Virginia. 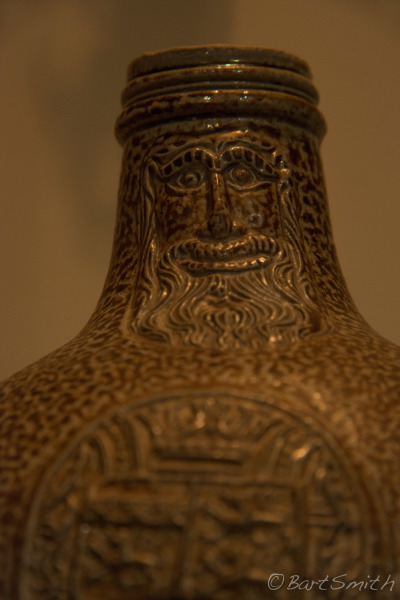 Bartmann jug, made in Germany and found in one of Jamestown Fort's trash deposits. It is on display at the Archaearium Museum at Historic Jamestown. 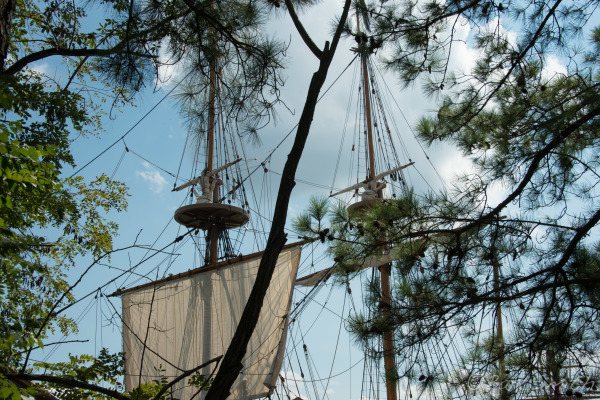 Colonial National Historical Park, Jamestown, Virginia. 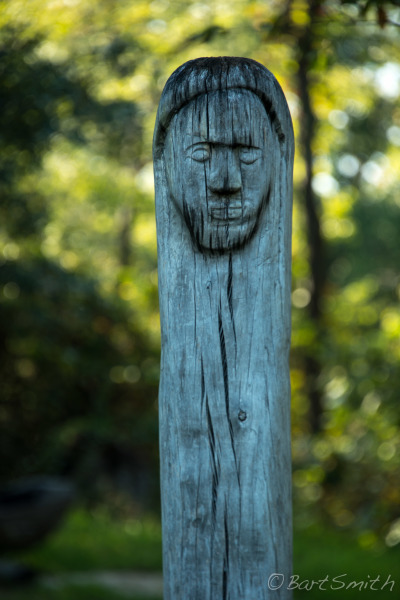 Spirit totem at re-created Indian Village at Jefferson Patterson Park, Maryland. 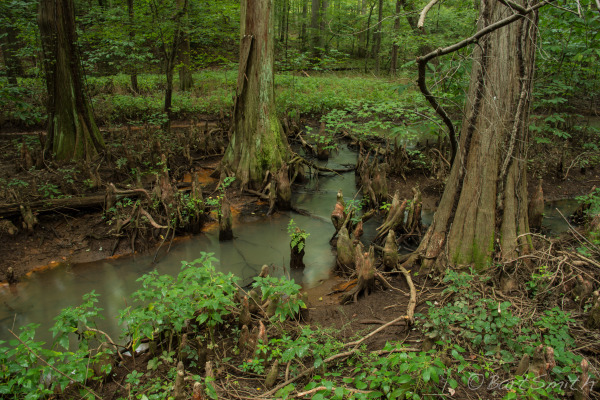 Black Creek Cypress Swamp, Maryland. Ship mast at Jamestown Ship Museum, Jamestown, Virginia. 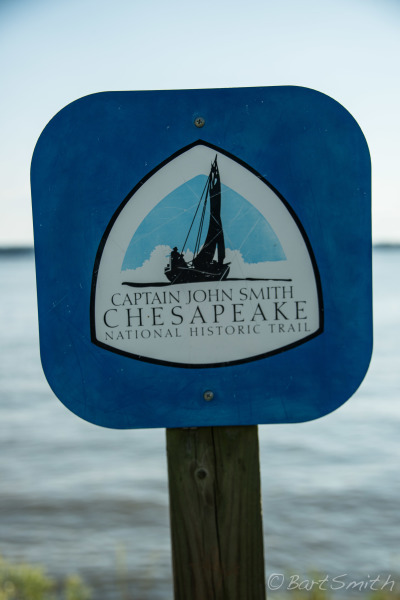 Captain John Smith National Historic Trail Sign at Colonial National Historical Park, Jamestown, Virginia. 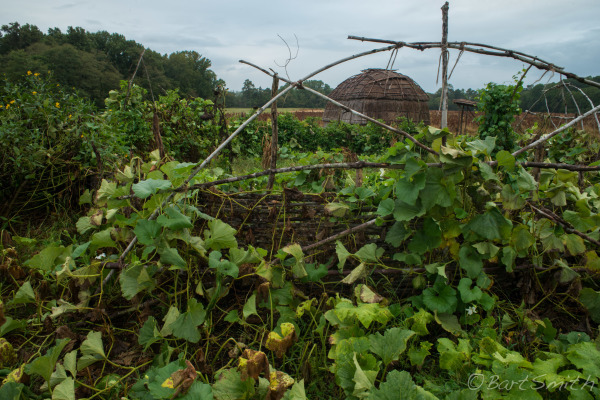 Captain John Smith and his expedition are thought to have used this water source for much needed fresh water. 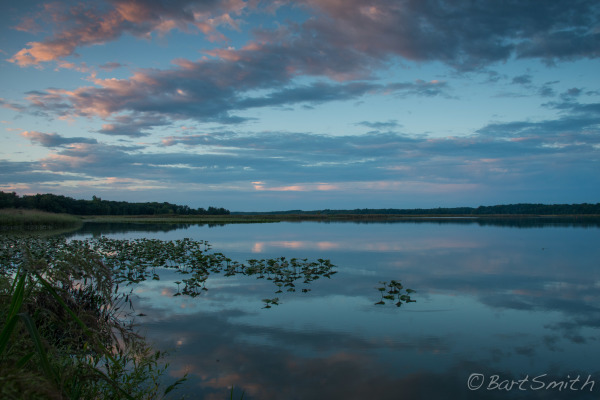 Calvert Cliffs State Park, Maryland. 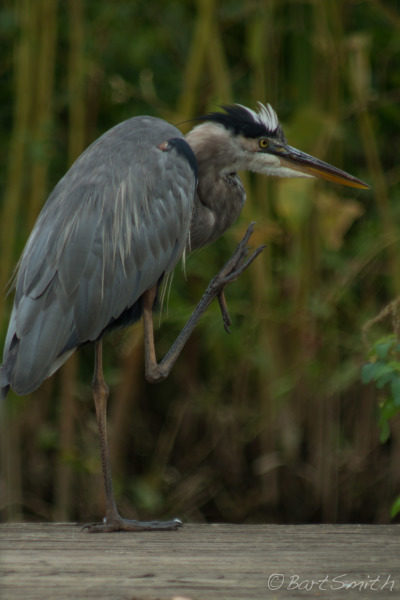 Great Blue Heron, Jug Bay Wetland Sanctuary, Maryland. Clay sediments at Calvert Cliffs on the shore of the Chesapeake. 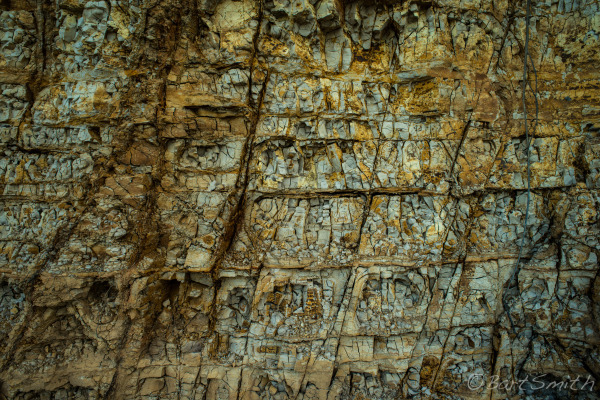 The John Smith expedition landed near these cliffs in search of fresh water which they were grateful to find. Calvert Cliffs State Park, Maryland. 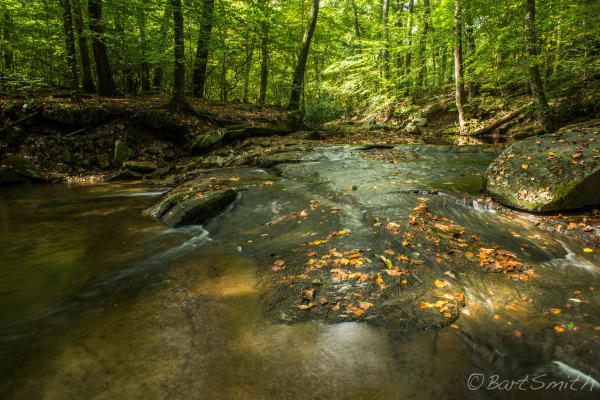 Rock Run River, Susquahanna State Park, Maryland. 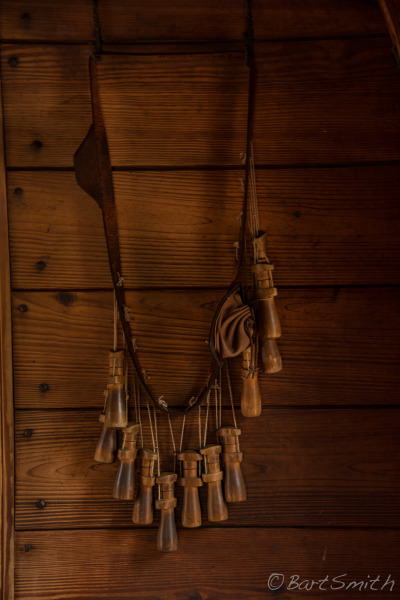 Gun powder Bandolier hanging in the ship "Susan Constant" a replica of the largest of 3 ships that the James Town colonists used to cross the Atlantic, Jamestown Historic Ship Museum, Virginia. 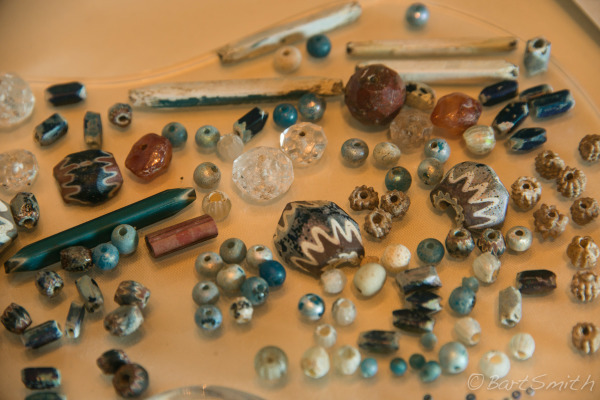 Beads of various shapes and sizes found at archeological dig at Jamestown. They are on display at the Archaearium Museum at Historic Jamestown Colonial National Historical Park, Jamestown, Virginia. 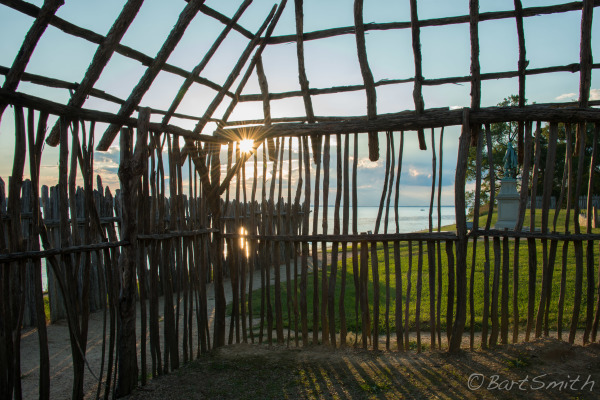 John Smith Statue framed in recreated framed structure at Colonial National Historical Park, Jamestown, Virginia. 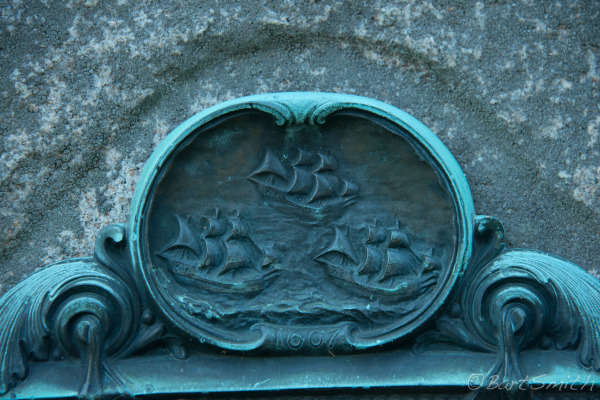 1912 memorial to The Barney family who gifted the land that is today Colonial National Historical Park, Jamestown, Virginia. 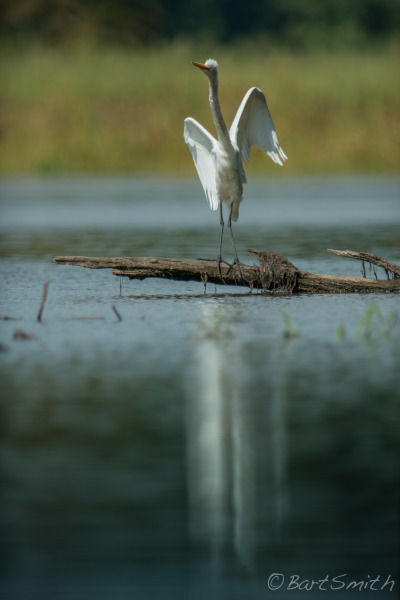 Great Egret along the Chicahominy River, Chicahominy Wildlife Management Area, Virginia. 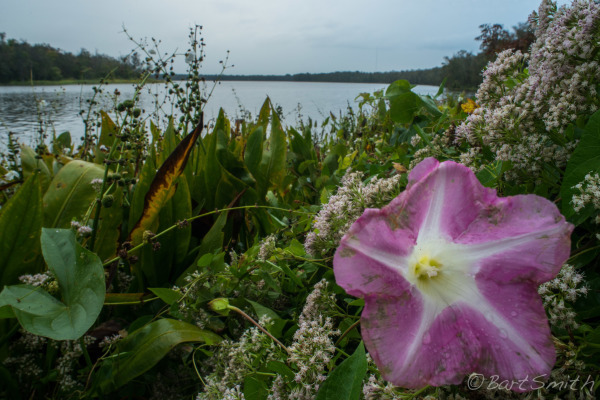 Morning glory, likely invasive, and lilies on the shore of the Nanticoke River near Sharptown Maryland. Recreated Indian village garden, Indian Road Vienna, Maryland. 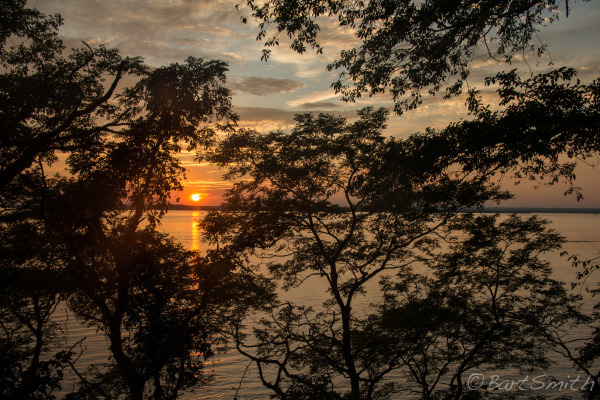 Sunset over Chesapeake Bay through trees at Turkey Point , Elk Neck State Park, Maryland. Historic St Mary's City, Maryland. 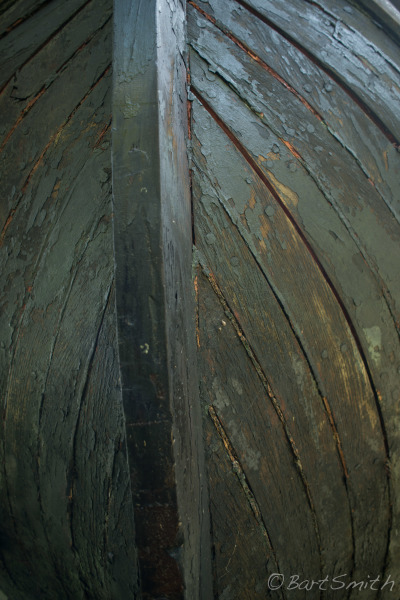 Recovered ship cannon. Historic St Mary's City, near the College of St Mary's, Maryland. 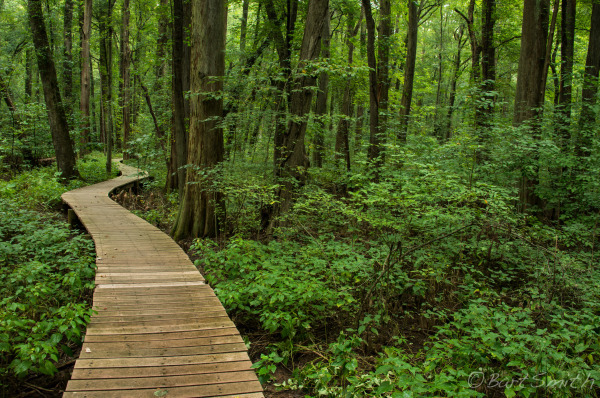 Boardwalk through Black Creek Cypress Swamp, Maryland. 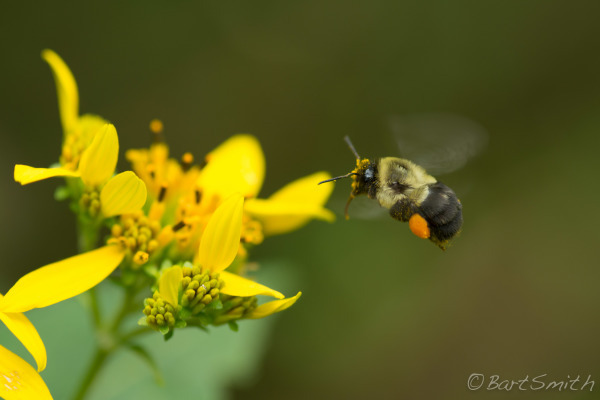 Bee gathering pollen, Parkers Creek Nature Reserve, Maryland. 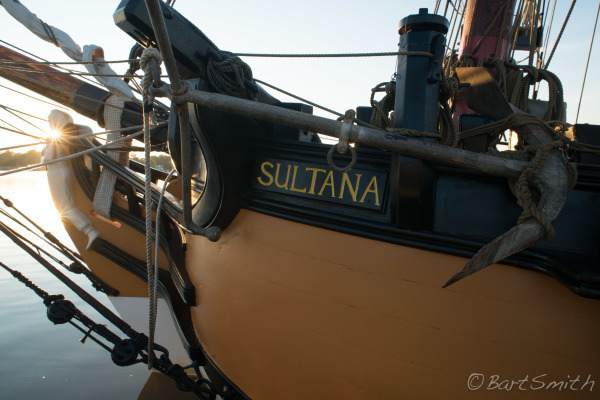 The Schooner Sultana, moored at Chestertown wharf, Maryland. The recreated boat is a replica of a 1768 Schooner. Much later than Captain John Smith's era . Chester River. 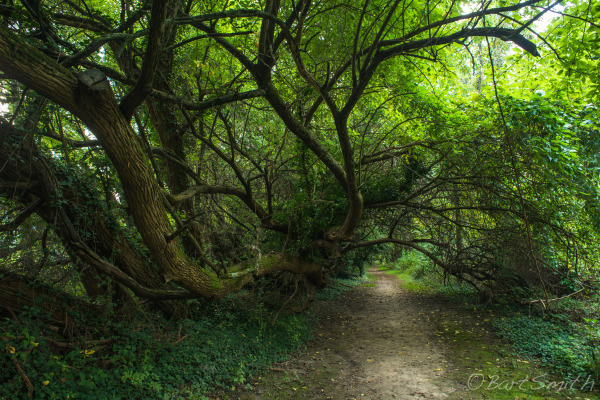 Trail along Wye Island Natural Resource Area, Maryland. 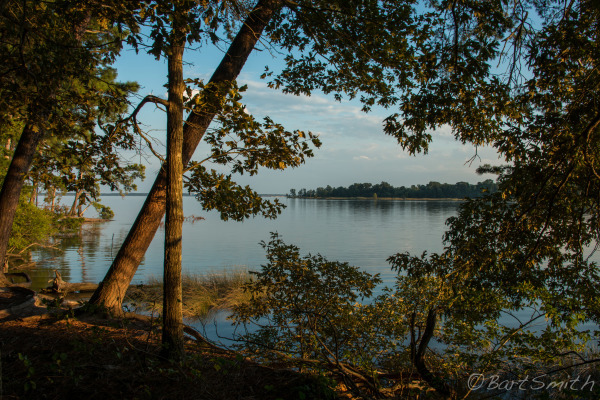 Patuxent River, Chesapeake Bay from Myrtle Point Park, Maryland. 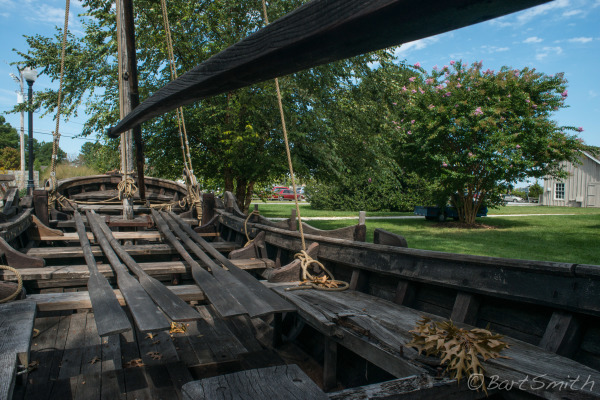 Replica of the Shallop Captain John Smith and his expedition sailed and oared while exploring the Chesapeake Bay and feeding rivers in 1608. Chesapeake Bay Maritime Museum, St Michaels, Maryland. Replica of the Shallop Captain John Smith and his expedition sailed and oared while exploring the Chesapeake Bay and rivers in 1608. Chesapeake Bay Maritime Museum, St Michaels, Maryland. Sun setting over the Chesapeake, Elk Neck State Park, Maryland. 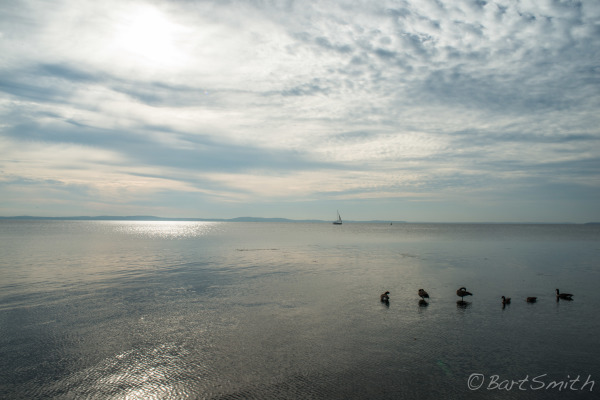 Chesapeake Bay from Concord Point, Havre De Grace, Maryland. 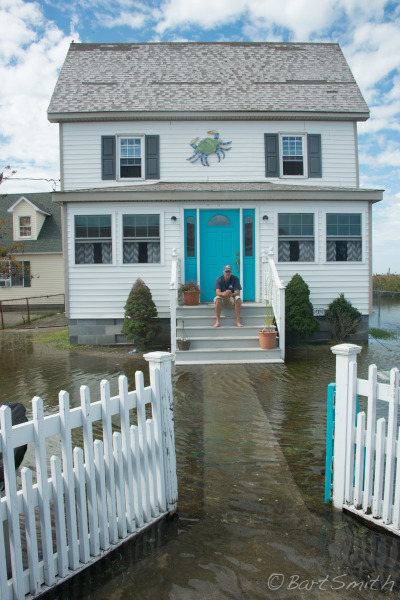 Home on Tangier Island during a storm surge flooding caused by a distant hurricane. The residents take it in stride. Tangier Island, Virginia. 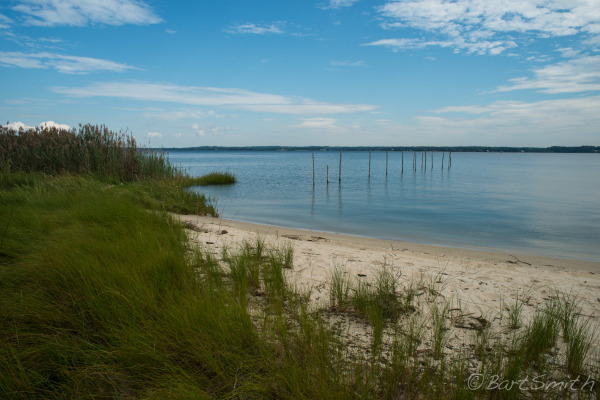 Black Point and Jamestown Island from Back River, Virginia. 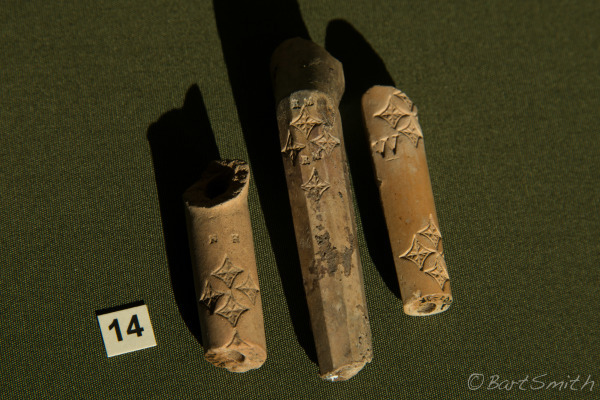 Personalized pipe pieces found in one of Jamestown Fort's trash deposits. Little did the Jamestown residents know at the time how important tobacco would become to the economy of colonial Virginia. The pipes are on display at the Archaearuim Museum at Historic Jamestown. 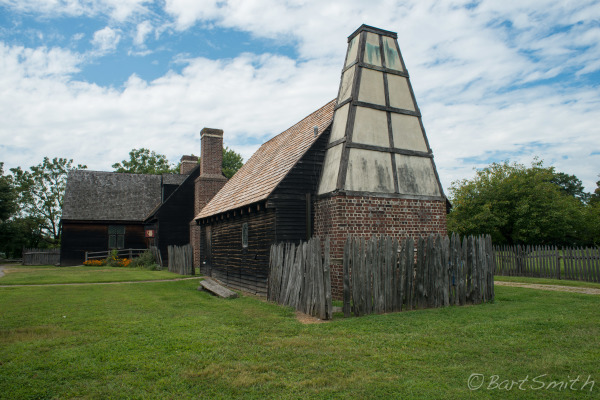 Colonial National Historical Park, Jamestown, Virginia. 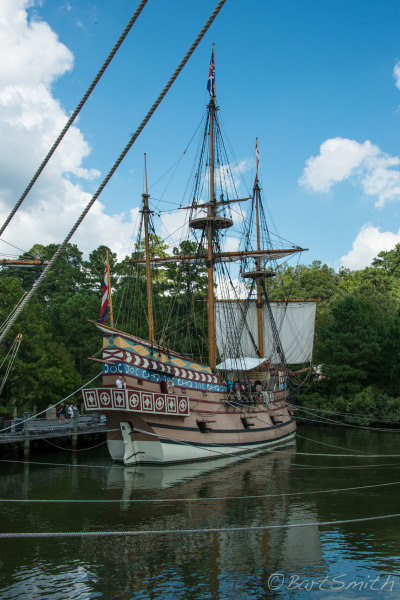 A replica of "The Susan Constant" Jamestown Historic Ship Museum, Virginia. 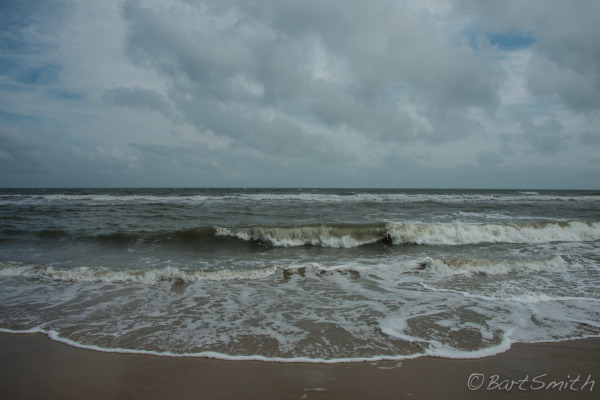 Waves from the Atlantic Ocean break on beach of First Landing State Park, Cape Henry Virginia, where English colonists first landed on April 26, 1607. 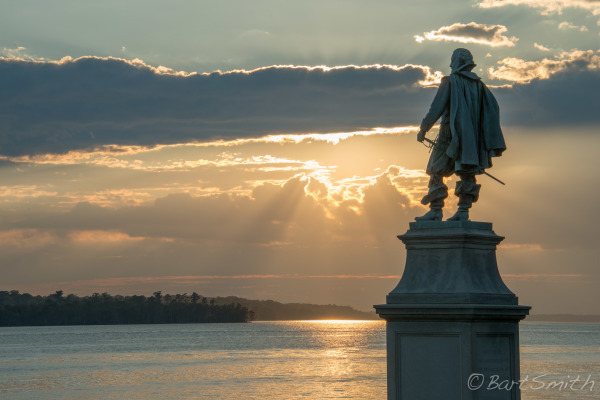 First explored in 1608 by Jamestown settler John Smith, this all-water route winds around the edges of the Chesapeake Bay and up many of its tributaries to the first rapids. It is a circuitous route that combines three different explorations in a 28-foot shallop, a type of sail-rigged longboat. Captain John Smith was a controversial leader who helped establiblish the first successful British colony on American soil, Jamestown, in 1607. Today , more than 60 government and private agencies are responsible for making this Trail a reality. 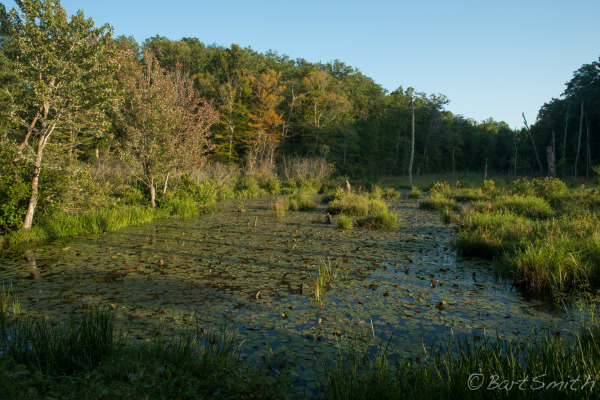 It provides an opportunity for strong conservation and environmental action since its founding members were associated with The Conservation Fund, the National Geographic Society and the Chesapeake Bay Foundation. Visitors in sailboats, motorboats and kayaks can retrace the 1608 expeditions. Interactive buoys help provide Trail inerpretation. 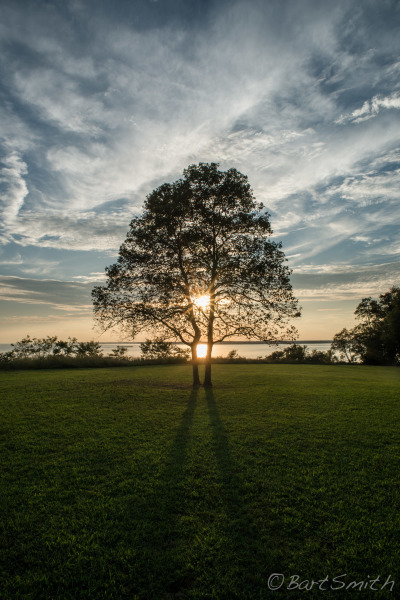 The Trail is administered by the National Park Service with strong support by the Chesapeake Conservancy.